Another magazine that was originally named after a great footballer, this particular one was launched as Raich Carters Soccer Star in 1952 and dropped the Raich Carter title 3 years later in 1955, reverting to the simple title Soccer Star. Between 20 September 1952 and 19 June 1970 it ran for an amazing 936 issues !! The issues werent numbered in the same way as most other magazines, they used a volume based format with a season by season numbering system with 52 weekly issues. 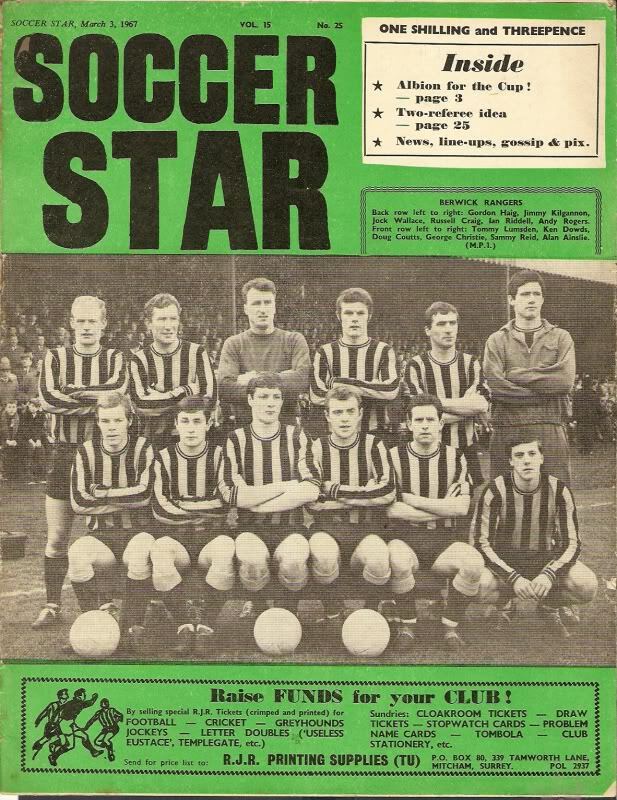 Soccer Star was obviously around at the same sort of time as Charles Buchans magazine but was never as colourful with only minimal colour pictures on the front and later on the rear, it never had the same sort of appeal as the aformentioned but is still a great piece of football memorabilia with some real collectable front cover pictures showing full team line ups. The reason maybe why it didn’t quite the heights of Charles Buchan is because it was seen as more of a newspaper type publication with the majority of its content being in plain black and white, in fact it wasn’t until the late 60’s that they included full colour front and back pages.